Abbie Jiles is playing out of her mind. 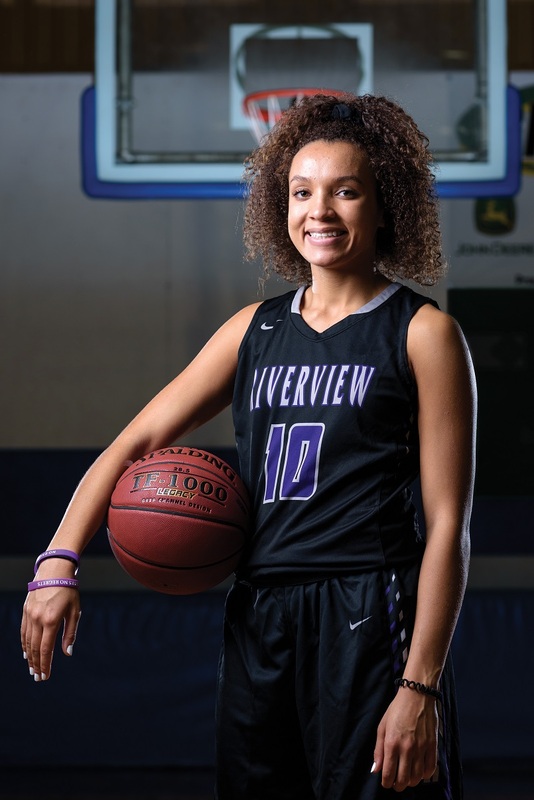 Just eight games into the season, the senior is averaging 26.3 points per game in her early quest to lead the Riverview Raiders back to the state championship. Back in March, Jiles led the Raiders with 18 points in defeat against Central Arkansas Christian, 68-57, in the 4A finals. So far, her lowest output in a game was 16 points (in a 49-47 win over Cave City on Nov. 30). She scored 29 points against Mountain Home (the Raiders scored 33 total points), 33 against Central Arkansas Christian (the Raiders avenged the state championship loss with a 56-54 victory in the rematch on Nov. 19) and a staggering 46 points against Bald Knob. Jiles, a senior guard for the Raiders, was selected to this year’s 501 Basketball Team — 34 players representing the best the 501 has to offer both on and off the court. The team is sponsored by Conway Ortho and Sports Medicine, Conway Regional Health System and First Security Bank. Jiles was nominated by her head coach, Ryan Smith. Basketball started early for Jiles, and it has been a family affair at times with her father coaching her in youth sports. “When I think back, I can’t remember a time basketball was not in my life,” she said. “I started to practice with an AAU team in Jonesboro in about the third grade. We drove an hour to Jonesboro twice a week just for an hour and a half of skills and drills. Jiles and her family moved from Pocahontas (Randolph County)to North Dakota during her eighth-grade year. Two years later, they moved back to Arkansas. In what could have been a difficult time, Jiles stayed positive. Another challenge Jiles has faced on the court is hypoglycemia, so if you see her sneaking a snack during a game, don’t fret. Jiles is a multi-sport athlete for the Raiders. This fall, she made the all-state volleyball team. She’s run track since seventh grade. She placed fifth in the triple jump in eighth grade, and as a sophomore, she won the state long jump in North Dakota. She’s also been known to play some softball, but basketball is her first love. Her goal is to continue playing basketball on the college level at Harding. Jiles and the Raiders take on cross-town rival Harding Academy at 6 p.m. Friday.